Stand up toppers, and they're EDIBLE!! Impress your friends and family!! I use these stand up toppers on my cupcakes and ALWAYS receive great compliments! INTERNATIONAL BUYERS: STANDARD SHIPPING TAKES APPROX 2 WEEKS. OR LESS. ALLOW YOURSELF 4 WEEKS AT THE LEAST. 12 x Slugterra stand up wafer/rice paper toppers. These figures will be posted in sheet form and will need to be cut out with sharp scissors. 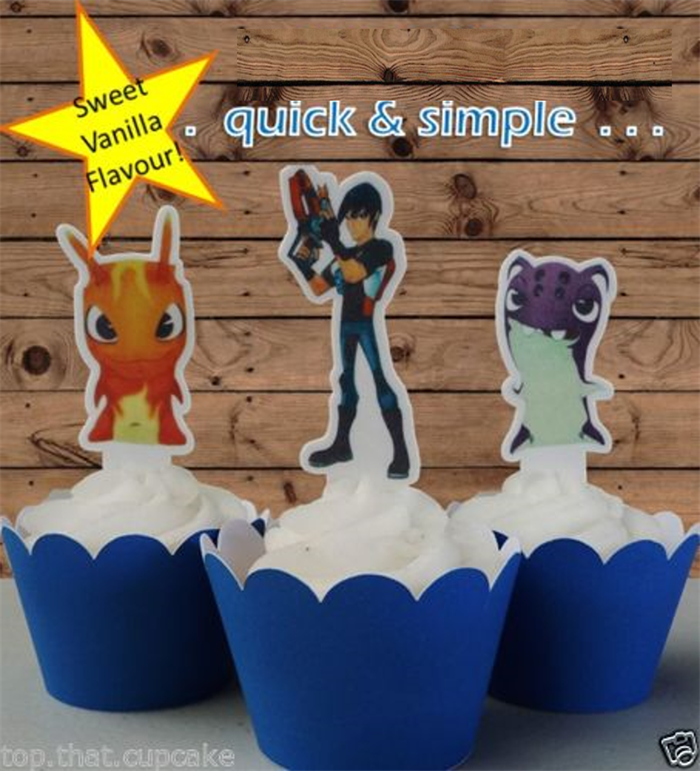 These cupcake toppers are printed on thick quality wafer/rice paper. They stand up beautifully in buttercream and have a shelf life of 12 months. Colour is on one side only, underneath side is white. Please note that because the pictures are printed on wafer paper which is translucent and absorbs the ink, the clarity and colour is not as vibrant as it would have been if they were printed on paper. Gluten free, dairy free, nut free. Simply place into your creamed cupcake or cake for an instantly decorated cupcake/cake!